The Test Report Form (TRF) will be printed and sent out by postal mail 13 days after the test day. You can collect your TRF at IELTS Official Test Centre when your results are released. You need to notify us by email or phone before you come to the office and bring your passport you used to register for the test in order to pick up your TRF –no one may pick up your results on your behalf. If 13th day is national holyday, all results are sent out by postal mail the day before. Contact your IELTS Official Test Centre for more information. The test taker will receive ONE original Test Report Form. This is a very valuable document and it is recommended that you take care in keeping your TRF secure. Replacement TRFs cannot be issued. You will only receive one copy of your Test Report Form, unless you are applying to Citizenship and Immigration Canada (CIC), or United Kingdom Border Agency (UKBA) – in these cases, you can receive two. Proof of application to CIC and UKBA must be provided. Test Report Forms are valid for two years. Contact IELTS Official Test Centre for more information. You can also preview your IELTS results online. In order to access your scores online you will need to enter your Full Name, Date of Birth, and your Registered ID (Passport or National Identity Number). You may request up to five 5 additional copies of TRF to be sent to Receiving Institutions (academic institutions/government agencies/professional bodies, etc.) within 2 years after the written tests are conducted for free of charge. More than 5 TRFs are subject to an extra fee (1,100JPY for each TRF). These are sent directly to the Receiving Organizations of your choice. If you would like TRFs sent by registered mail, please notify IELTS Official Test Centre by Email- you will be charged 2,500JPY for each TRF. If the Receiving Institution accepts electronic submission of scores, then that can be sent electronically. Contact IELTS Official Test Centre for more information. ・Before Application: You will have an opportunity to enter these addresses during the online registration process. ・After Application: Please fill out this form and send to IELTS Official Test Centre by Email or postal mail. ⇒Please fill out the form correctly (especially the exact postal address of the institution where you would like to send to is necessary). We cannot take any responsibility for missending your TRF due to wrong postal address you write down. ⇒If you do not have any Japanese bank account and need to pay the fee with an account in a foreign bank, please let us know by e-mail. ⇒The full amount will be refunded only if the applicant for remarking designates a bank account in Japan as the account to which such refund should be made. NOTE: Test Centres are NOT permitted to give test results over the telephone, via fax or e-mail to the test taker. The Enquiry on Results will be processed within two to four weeks. You will receive a letter confirming your final score from your test centre after this time. *Please note that JSAF IELTS Official Test Centre can not accept a bank transfer from overseas. If you do not have any Japanese bank account and need to pay the fee with an account in a foreign bank, please let us know by e-mail. -There is no appeal after this re-mark, the decision is final. -You have to send the original TRF to the test centre you received it from. -During the period of remarking your test results cannot be used to apply for a university or to be sent to an immigration office. -Should the scores change after the Enquiry on Results, we will issue a new Test Report Form for the test taker, who can apply for (5) five extra copies to be sent to receiving institutions free of charge within one month of the printing date at the bottom of the new Test Report Form. -For those whose scores remain the same we will return the original Test Report Form to the test taker and there will be no refund. –The instruation of Remark on this website is only for those who took the IELTS Test at Japan Study Abroad Foundation (JP112). 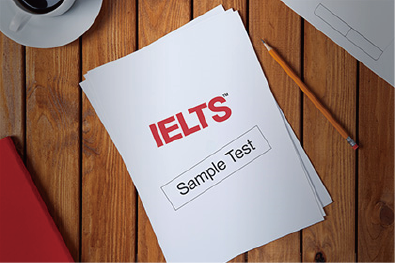 Please check the Test Centre you took the IELTS before applying for the IELTS Test. Send the completed Enquiry on Results Form, receipt of payment and the original Test Report Form and post it to IELTS Official Test Centre.